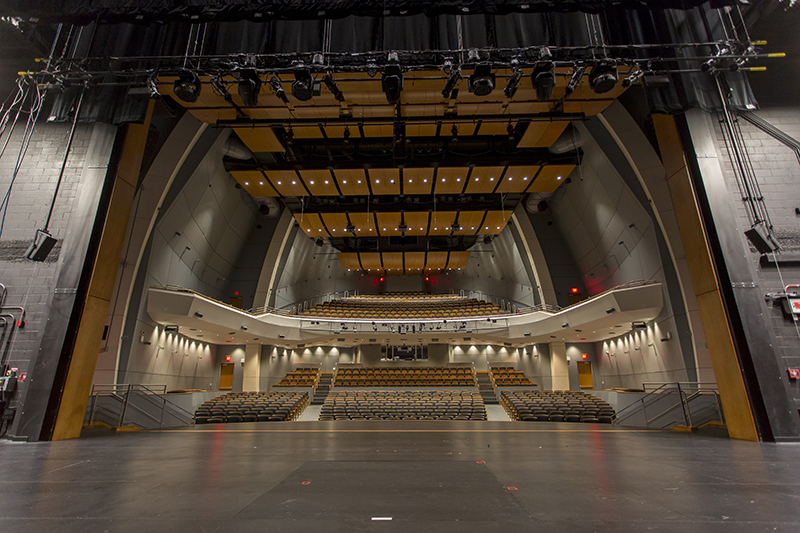 Following a major renovation that involved gutting the main building and constructing an entirely new auditorium inside the old structure, Washington D.C.’s Duke Ellington School of the Arts reopened with an impressive performance space that offers the flexibility of Meyer Sound’s Constellation acoustic system. 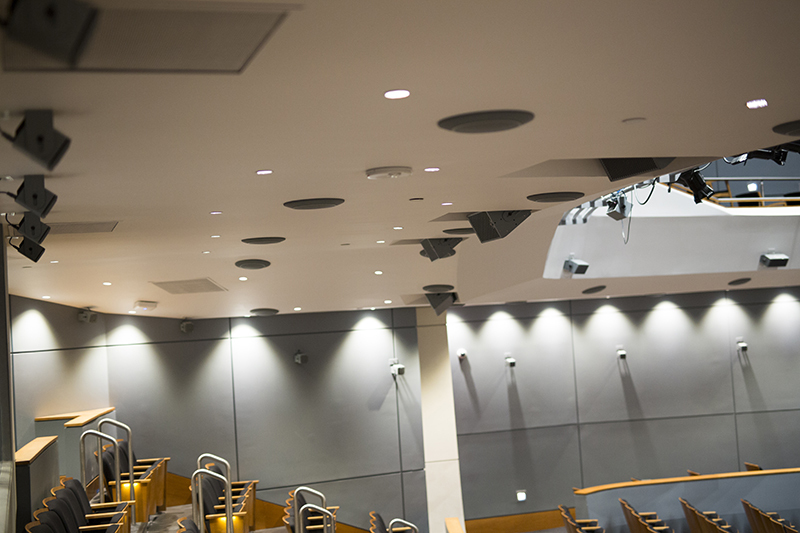 Polysonics, an acoustics and technology consulting firm, worked with Meyer Sound’s Constellation team on the project. 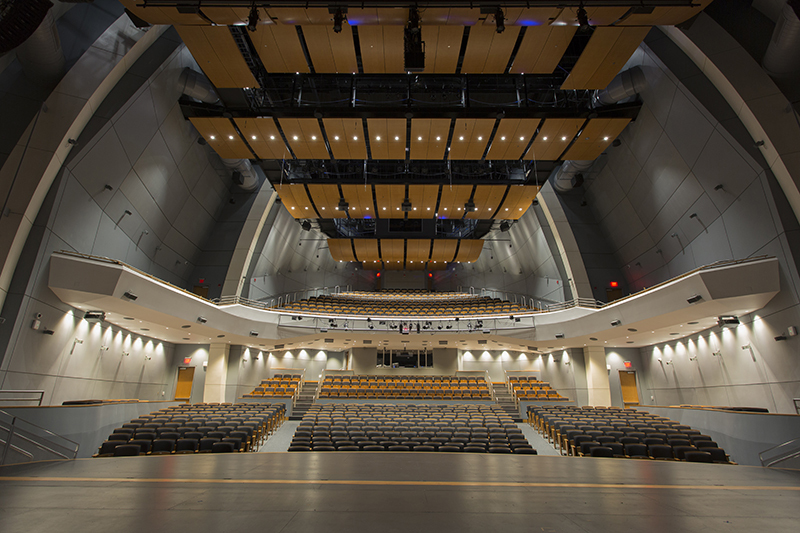 Dubbed “The Egg” because of its novel curved shape, the new venue hosts the school’s own acclaimed music, dance and theater ensembles as well as performances by renowned guests including the National Symphony and U.S. Navy Band. 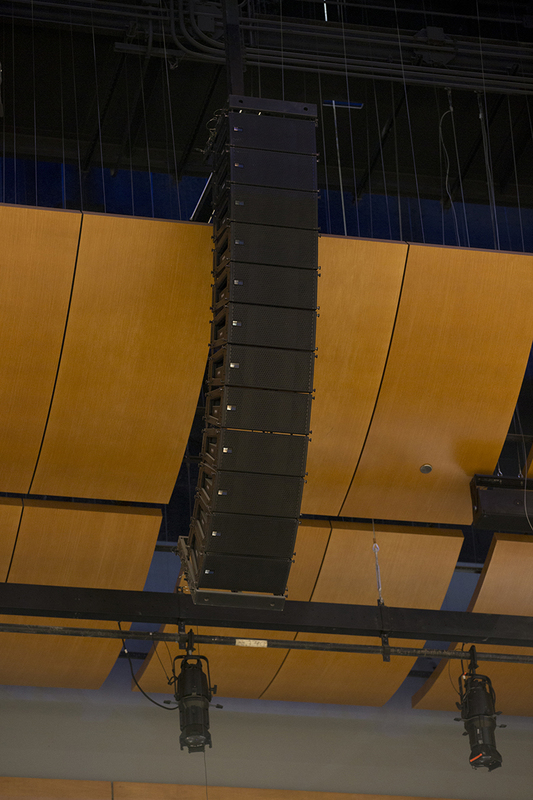 Whenever direct amplification is required, the new auditorium also provides a house reinforcement system based on Meyer Sound line array loudspeakers. 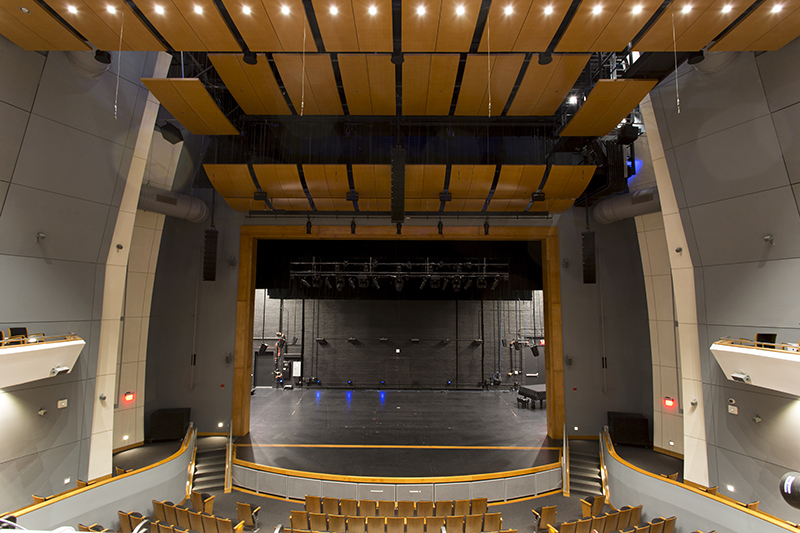 With the acoustical flexibility afforded by Constellation, the auditorium’s acoustic signature can be precisely tailored to the performance at hand while the active stage shell component of Constellation allows student performers the opportunity to hear themselves and others in the ensemble in an optimum environment. 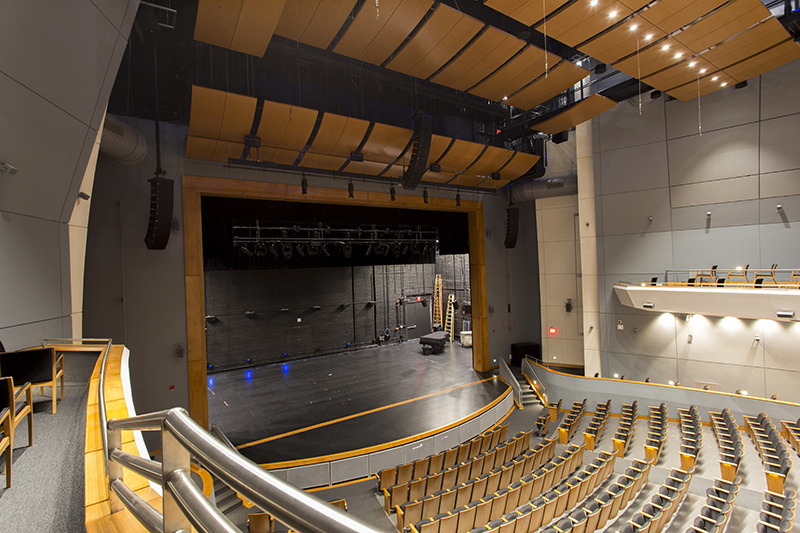 Audience members are often not aware that the Constellation system is even active during many acoustic performances, yet the rich acoustical ambience has generated more enthusiastic responses while raising the engagement level of student performers. 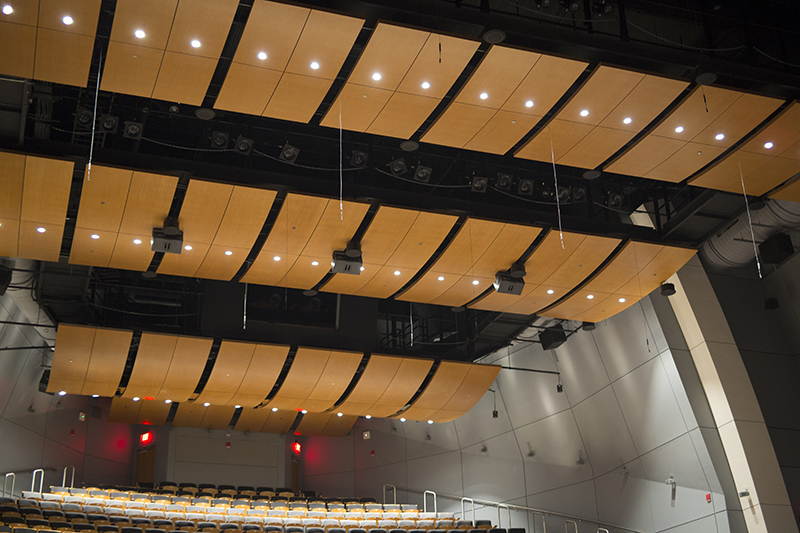 The Constellation system was specified as a core component of a complete audio, video, acoustics, IT and security package designed by Warrenton, Virginia-based Polysonics, an acoustics and technology consulting firm. The Constellation system incorporates a total of 181 compact full-range loudspeakers along with 12 subwoofers to extend the reverberation envelope to the lowest registers. Twenty-eight sensitive condenser microphones provide ambient acoustic sensing, while the 13-frame D-Mitri digital audio platform includes three dedicated processors — one for each distinct acoustical zone — for hosting the patented VRAS™ acoustical algorithm. 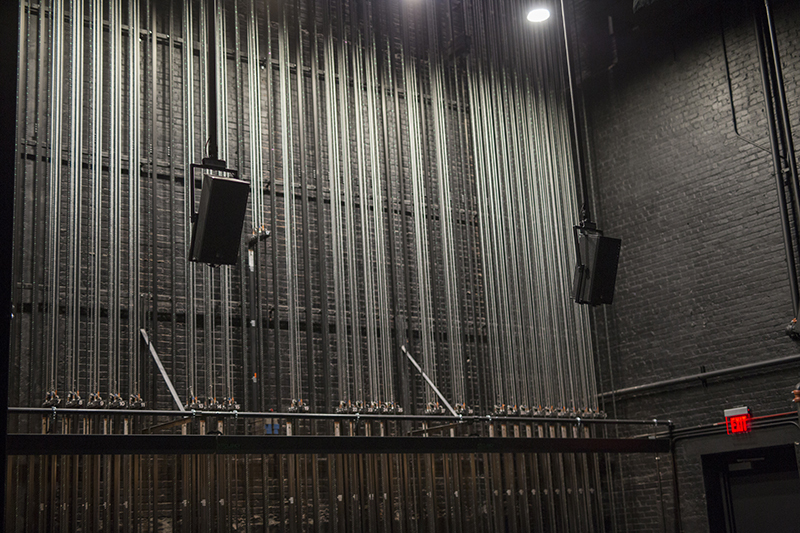 The Constellation system was designed and calibrated by Meyer Sound’s Constellation team, with installation by Washington Professional Systems of Wheaton, Maryland under the direction of Don Pacetti, Eric Chocrun and Todd Neil. 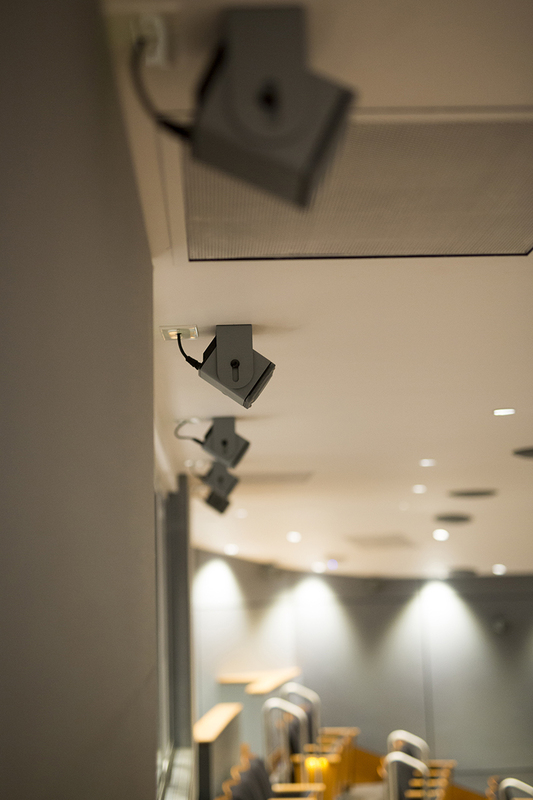 Day-to-day operation of the system falls under the responsibility of Thom J. Woodward, the school’s audio instructor and AV supervisor. In the first months of operation he has learned when to unleash the system’s full capabilities, and when to hold back and let the room’s physical acoustics take over. But there are other times when a more subtle enhancement is called for, or even none at all. “When the event is reliant on the room itself as an acoustical instrument, that’s when Constellation really shines,” he continues. For events that require direct amplification, “The Egg” relies on an LCR system with left and right arrays of 10 per side MINA™ line array loudspeakers and a center array of 12 MINA loudspeakers. Deep bass is reproduced by four 1100-LFC low frequency control elements, with a Galileo Callisto™ 616 processor for drive and optimization. Established in 1974 and part of the District of Columbia Public Schools system, Duke Ellington School of the Arts serves about 600 students in grades 9-12. Dedicated to arts education, DESA offers programs in Dance, Literary Media and Communications, Museum Studies, Instrumental Music, Vocal Music, Theater, Technical Design and Production, and Visual Arts. The school has a 99% on-time graduation rate.